Find more on our beliefs, and our history. To contact us, click here. To watch our services, visit here. Worshiping and praising God … We believe that Jesus Christ alone is Lord of all and the only way to salvation (John 14:6). Therefore, all that we do will be in joyful response to what God the Father has done in sending Him to be our Lord and Savior. 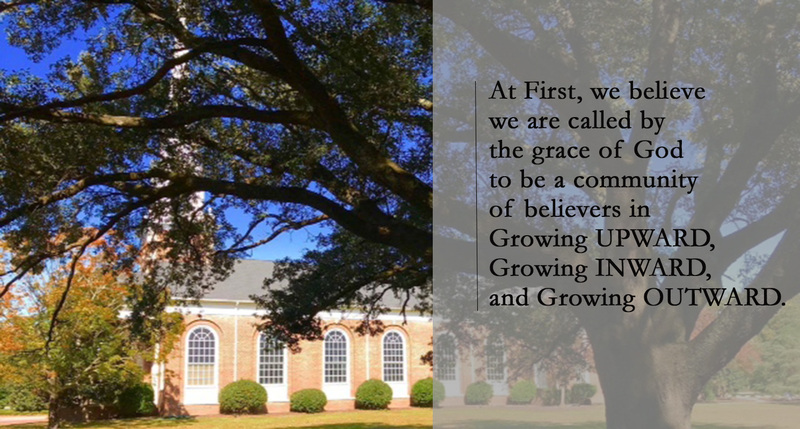 Growing in love toward one another … We believe that all Christians are called to pursue a growing personal relationship with Christ and to become more Christ-like in their beliefs and conduct (Ephesians 4:13). Therefore, we will provide opportunities for our members to mature in their faith through worship, prayer, study, and fellowship. Until we reach unity in the faith and in the knowledge of the Son of God and become mature, attaining to the whole measure of the fullness of Christ. Sharing the good news … We believe that God instructs Christians to cultivate loving relationships as a covenant community of believers (Hebrews 10:25). Therefore, we will reach out to, invest in and enjoy each other so we can grow together as part of God’s family.